Fast food workers across the United States went on strike to protest minimum wage pay. They want their salaries doubled to $15 per hour — twice the federal minimum wage rate. 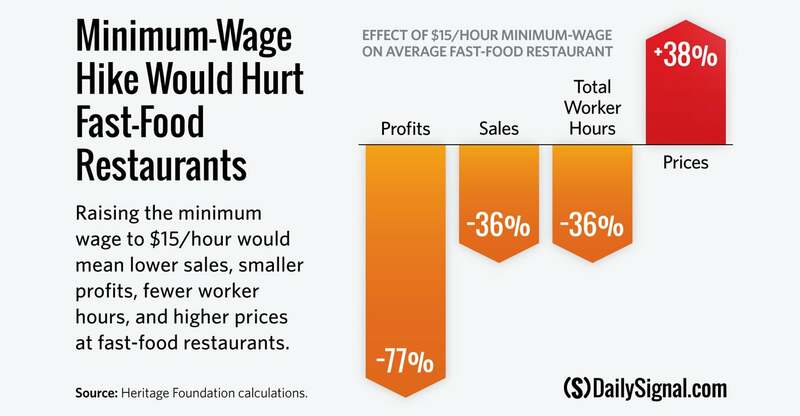 If the $15-wage-rate goes into effect, business will drop off and layoffs will take place. Some of the people who went on strike will lose their jobs. You can’t break the economic law of supply and demand without there being consequences. Demand will go down if costs go up. I worked at minimum wage jobs when I was in high school and college. It was those minimum wage jobs that helped me see that I did not want to be a minimum wage worker. Most people making only minimum wage are mostly in transitional work. They are mostly young people with little work experience. The jobs they work do not demand a hire skill level. “A majority of the Americans who worked for the minimum wage or less in 2013 were 24 years old or younger, according to data released by the Bureau of Labor Statistics, and only 0.8 percent of American workers were 29 or older and worked for the minimum wage or less. “A supermajority of 67.5 percent who earned the minimum wage or less in 2013, according to BLS, worked in what the government calls the “Leisure and Hospitality” industry. This includes restaurants, bars, hotels, theatres, amusement parks and other facilities catering to people pursuing recreational activities. For those who aren’t very good at math, .8 percent is less than 1 percent. I’m for eliminating a government mandated minimum wage. It would make it possible for companies to hire low skilled workers who would then get work experience. When the minimum wage goes up, it pushes out the least skilled workers. If a company is forced to pay more money, it will try to hire the most skilled and experienced workers. Unemployment will go up among those groups most in need of work, income, and experience. Other things need to change as well, including the tax rates, regulations, and other barriers to employment. 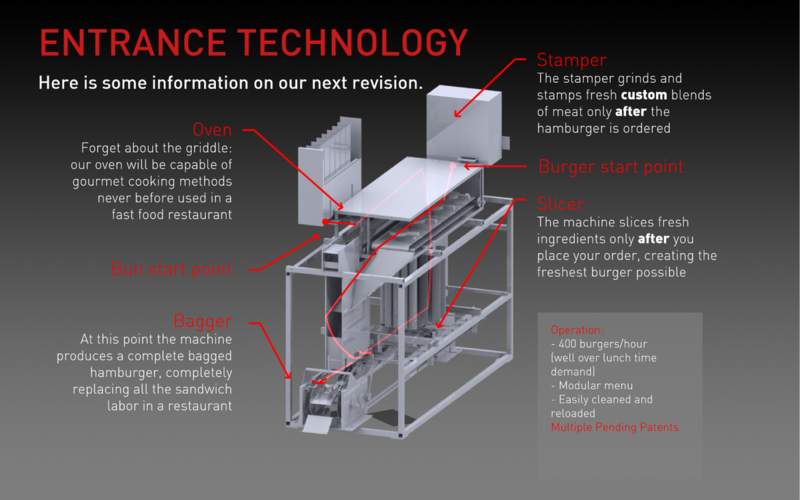 “A company called Momentum Machines has built a robot that could radically change the fast-food industry and have some line cooks looking for new jobs. We’ve seen technology replace many jobs in the automobile industry. Union demands for higher wages and benefits have changed the face of the industry. South Korean car company KIA built its plant in LaGrange, Georgia, because it’s a right to work state. When employees for one of its suppliers nearly voted to join a union, KIA went with another supplier. The benefits? More jobs and a lower priced product for consumers. The KIA plant has transformed LaGrange. The place is booming.